This studio apartment is located in Croisette-Palm-Beach and sleeps 2 people. It has WiFi and air conditioning. 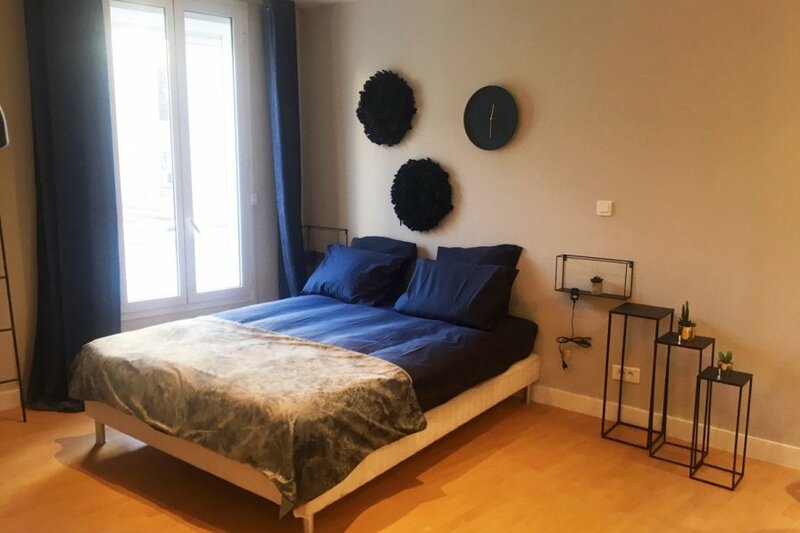 This spacious apartment of 30m² recently renovated has a privileged location, close to the Croisette, less than 5 minutes walk from the Palais des Festivals and the most beautiful beaches of the Côte d'Azur. It has been tastefully renovated and its comfortable spaces have been preserved. It has a nice entrance with closet, a separate toilet, a cozy shower room, a fully equipped kitchen open to the living room including a double bed. We draw the attention of our future vacationers on the fact that this independent apartment is situated in one of the buildings of the Grand Hôtel's residences and is not to be confused with The Grand Hôtel of Cannes situated in the same Residences. Nevertheless, if you wish, you can have breakfast, have access to the bar of the hotel or to the restaurant (paid service).